You’re meeting someone for the first time, and they find out you’re a magician. What do they do? Well, nine times out of ten, they say ‘show me a trick!’. Great. The only problem is, you’ve left your favorite EXPENSIVE gimmick in a box at home. What now? The best way to get out of this situation is to plan in advance. That DOESN’T mean rehearsing your full stage show every time you go out, but just to have something to lean on if you need to. For most of us, a pack of cards is ideal. For one, they’re comfortably familiar. Everyone knows what a pack of cards is; it gives the audience an immediate connection to you. Secondly, they’re adaptable. Whatever kind of persona you have, whatever style of magic you perform, there is a whole host of different tricks available to you. Finally, and perhaps most importantly, they pack light. Wherever you’re going, you should have space on you for a deck of cards. Personally, I take a backpack to most places I go, and just chuck a deck in there with everything else! As long as you have a pack of cards with you, you should have a few solid tricks that you can perform impromptu. For example, the Ambitious Card is usually the trick I use when people ask me to show them one. So, the first step to solving this problem is to be prepared for it; carry cards with you! Now, carrying a pack of playing cards will work for most people most of the time, but it isn’t a perfect situation. The fact of the matter is that you WILL get caught out sooner or later. That’s why I advise you learn some magic with an object that will almost ALWAYS be present whatever the situation. I love doing magic with people’s phones. It’s some of the easiest magic I know, yet it gets some of the best reactions. I think the reason for that is how personal it is. 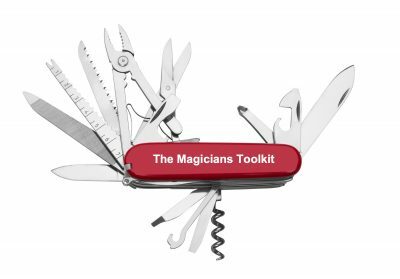 With most magic, the props you use are foreign to your audience; they belong to you. There is inevitably a degree of detachment as a result. However, when you do magic with their PHONE, you’re suddenly using an object that is deeply personal to them. You create this emotional attachment to the magic by using a prop they are very closely connected to. Unlocking a spectator’s phone is almost like the ACAAN of mobile phone magic; magicians have been looking for the best way to do it for years. It’s a really powerful effect; especially since so many people guard their passcodes so seriously. I personally use a technique taught by Greg Wilson, but there’s a great book by Michael Murray that teaches a whole bunch of really strong tricks with mobiles, including learning how to unlock TWO spectator’s phones at the same time. Check it out here. Anyone who is familiar with the TOXIC force using a phone’s calculator will understand just how versatile this technique is. You start out by setting up their phone with the TOXIC setup. You set the desired number to your phone number. This really only takes a second or two. Then, you go through the trick the same as usual; you ask the spectator to input numbers, multiply them, input more numbers, etc. Eventually, once they’re happy there’s no way you could have predicted the outcome, they hit the equals sign. At this point, your phone number pops up. They won’t register it as a phone number straight away, just a bunch of random numbers in a row. You hold your finger down on the numbers until the option to ‘copy’ pops up. Now, you head over to their ‘phone’ app, and paste in the number, then ring it. After a moment or two, YOUR phone starts ringing. You answer it and confirm that it is their phone calling you. This works really well for me, and it’s a great way to get someone’s phone number in an original and fun way! If you don’t know the TOXIC force, don’t worry. As it happens, there is an alternative method to this that doesn’t require the TOXIC force. You can check it out here! Third Solution: Ask THEM To Show You a Trick. This one won’t work in every scenario but I quite like using it now and again when someone asks me to show them a trick. Instead of instantly diving into the first phase of my ACR, I instead ask them ‘Oh, you’re a fan of magic then? Could you show ME a trick?’. As it happens, most people know at least one or two basic tricks that they can do with cards. You provide them with the cards and let them do their thing. After they’ve finished their trick, I go into mine. Firstly, it gives me time to think! I can plan out my routine better and get a feel for their personality and what would impress them. Secondly, it helps break any tension. All the pressure is taken off you; it becomes a shared experience rather than just you performing for them. Finally, and this is just a nice little bonus, I find it tends to make them MORE impressed by my magic once they’ve had a go. This isn’t a case of showing off! It’s simply that they suddenly understand firsthand how difficult it can be, and so are more impressed as a result! I hope some of these tips were useful to you! Let us know if you have any other go-to responses when someone asks you to show them a trick. Is studying magic worth your time? 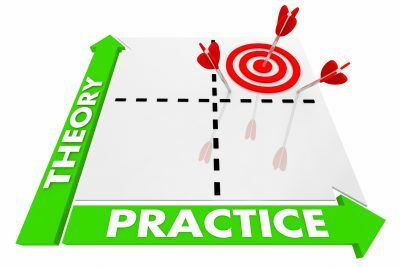 Is Studying Magic Theory Worth Your Time? Those are words that, as magicians, we’ve ALL heard at some point or another. Today I’m going explain why you need to draw a balance between study and practice, by contrasting TWO experiences I had recently. I personally had my first real ‘taste’ of the world of magic theory when I dove into Strong Magic, by Darwin Ortiz. For anyone who doesn’t recognise that name, Darwin Ortiz is one of the ‘greats’ of modern card magic and when I say he wrote the book on magic theory, he really did. When I first bought Strong Magic I was expecting Ortiz to spill the secrets on some of his coolest routines. I was waiting for finger-busting sleight of hand moves, incredible pointers on card manipulation, and at least the secrets behind some of his ‘workers’. Did I get a single one of those things? Instead, I read not about card manipulation but AUDIENCE manipulation; how to get stronger reactions for your magic. It suddenly made perfect sense to me; why should I be focusing so hard on my sleight of hand whilst neglecting the fact that I could barely look my audience in the eye?? I found a ton of useful tips and in-depth lessons within the book, too many to cover in one post so here’s ONE example of a lesson on structuring your magic routines I learnt that turned out to be really helpful..
Let me tell you something. When I was starting out in magic, if somebody didn’t react well to a trick I did, can you guess what I would do? I had this irrational idea that I could force someone to enjoy magic if I just showed them enough. As I’m sure other experienced magicians can confirm, this tactic doesn’t work. Your first trick should be something visual and attention-grabbing that won’t take long and preferably doesn’t take any lengthy patter. Good examples of a hook might be the floating card or a card production routine. What you really are trying to do is capture your audience’s curiosity so they are ‘primed’ for the next trick. Right bang in the middle is where you’ll want to be doing your longer tricks that involve more patter. Right now you’re in the perfect position; you have their attention and will be able to really ‘milk’ this second trick. For example, this would be a good place for an Ambitious Card Routine. You want to save your strongest material to the end. Your audience are usually going to remember how you started and how you finished; so make sure you end with a trick that has a great ‘twist’ or ‘kicker’ ending to leave a lasting impression. For example, when I finish my routines I like to use Cube 3 because NOT ONLY is it a great trick that is highly impressive, I work in a ‘kicker’ ending where the previously selected card in the second trick is actually inside the cube. Absolutely. I stopped trying to shove ALL my magic at people in one go, and was able to see much better reactions. There’s a reason the top restaurants serve small portions (it leaves you wanting more rather than feeling sick of it!) and it’s exactly the same in magic. Now, I like to compare this experience of applying theory to something practical. Last summer, I found myself in a position where I was with a bunch of people who didn’t know I did magic, and so I got to test out my tricks in person on LOADS of people. I’m talking two or three months straight of just performing magic for people. At the time, I wasn’t analysing anything or trying to read up on theory, I was simply seeing what got the best reactions and doing more of that thing. It really was a very simple process that allowed me to become just a little bit more effective every day. And over time, that led to some AWESOME results. Now, this was WAY before I started digging into books like Strong Magic so everything I did was purely intuitive and what felt right based on experience. And it worked! My magic got a whole lot better. So the question is, which taught me more; practical experience or theory? This is a really tough question to answer. One the one hand, my eyes were completely opened to a whole new side of magic through my reading. However, the experience gained through performing taught me the same lessons – but subconsciously and more gradually. Reading about the theory was a ‘light switch’ moment whilst practicing manually was more of a gradual sunrise in comparison. In the end, both reading and performing have the same end goal; improving your quality of magic and the way you interact with your audience. Both will take you to that goal; it’s just a question of which is quicker. The best solution would be to find a healthy balance of both; read up on your magic theory WHILST applying the lessons you learn in a practical situation. That way you not only gain the muscle memory of what works, but also understand WHY it works. Thanks for reading! I hope this helped you out with any questions you might have had regarding magic theory and whether it’s worth studying.